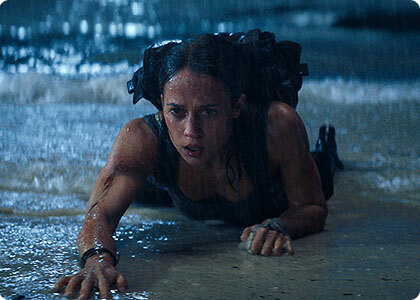 eNews April 6, 2018: Lara Croft is Back! © 2018 Warner Bros. Pictures. All Rights Reserved. Drawing on its long-standing expertise in water simulations, Scanline VFX, via its Vancouver and Los Angeles offices, took on the complex boat scene. Here’s how they pulled it off. Vikander and Daniel Wu (playing Endurance captain Lu Ren) were filmed on a gimbal set-piece with wave tanks and fans helping to add in appropriate motion and water spray. The main beats had been established in previs by The Third Floor. Scanline would use this live action as a base. “Production got the material that they needed for the talent, and we more or less took over by tracking the cameras, and then reanimated the boat into the water on top of some of our wave simulations,” explains Scanline visual effects supervisor Nick Crew. Read the rest of Ian's interview with Nick Crew at our website. © 2016 Axia Films. All Rights Reserved. Louise en hiver Comes to Vancouver! Desert island stories are common but few are as optimistic and upbeat as Jean-François Laguionie’s Louise en hiver. 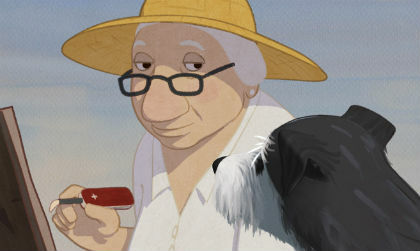 Louise is enjoying a summer day on the beach when she recalls the year before when, after missing the last train, she found herself alone in town after a bad storm. Crowned best animated feature film at the Ottawa International Film Festival, Laguionie’s Louise en hiver is another outstanding example of French animation at its best. Louise en hiver is screening on Saturday, April 28th at 12PM. Tickets to the screening are free, but booking ahead is recommended. Seats are not guaranteed and will be allotted to ticket-holders on a first-come, first-served basis. Regular submission deadline is September 1, 2018 while the extended deadline is September 10, 2018. The Vancouver Career Fair Is Back! 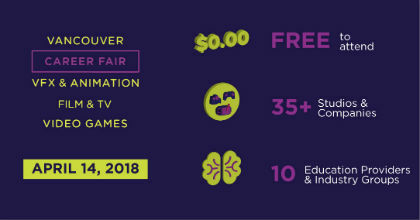 Designed to connect top creative talent with Vancouver's innovative studios, the annual Vancouver Career Fair for VFX, Animation and Video Games is taking place next Saturday, April 14 at the Vancouver Convention Centre (East Building). 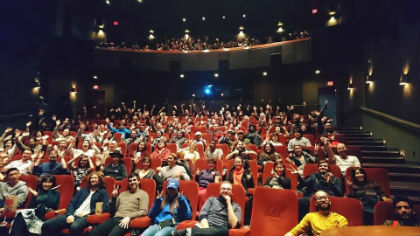 The free event is produced by the Vancouver Economic Commission with contributing partners Visual Effects Society, Spark CG Society, and Vancouver ACM SIGGRAPH. Larger than ever, this year's event will bring together 35 exhibitors including a wider range of participants in the Education Expo so whether you're looking for a job or for information on educational programs, this event is not to be missed! For additional information and to register for a spot, visit the event website.